Geolocations are something that is greatly underused on Instagram in comparison with its potential. As a local business, geolocations on Instagram is an opportunity you simply can’t afford to ignore. The good news about them, for you, is that very few local businesses are using them, or any of the methods I’ll present in this article, and this means that you have very little competition but a ton of opportunities. 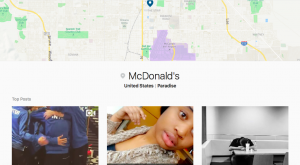 In this article, we’re looking at how you can leverage the geotag on Instagram to get more people aware of your physical location and to get more customers. A geotag, also known as geolocation is a location that you “check in” on when sharing a post on Instagram. You can choose to not use a geolocation at all, and you can choose how specific the location you check in to is. For example, you can choose to tag “United States” as a whole, or, you can choose to be more specific and tag Lombard street in San Fransisco. 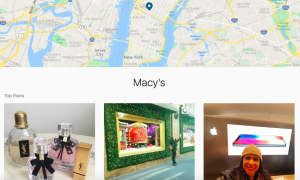 In other words, you can choose to be how specific or broad as you want with Instagram’s geolocation, however, the real potential to engage your local followers lies in the specific location tags. Obviously, the more specific you are in your tagging, the more intimate conversations you’ll have. Back in the days, you could only check in at the locations and surrounding areas where you were when uploading the image. This means that if you took an image in Las Vegas, you couldn’t tag that location if you had traveled to Los Angeles the next day. It’s easy to understand why Instagram chose to set the geolocation feature that way, but it is good that they eventually decided to remove it. 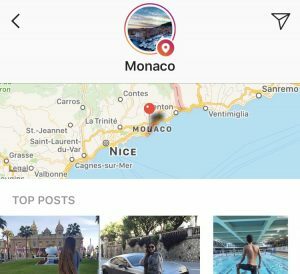 When you go to the geolocation when uploading a post, Instagram will come up with a bunch of suggestions based on your current location. Note that geotagging is only available if you choose to accept location services in the app. Before we dig into the nitty-gritty of leveraging local geotags, let’s look at a few other ways you can use locations, rather than just in your post. While there is no guarantee, there’s a chance that you’ll end up on the so-called “top stories”, located right above the location’s regular posts in the form of an image with a colorful circle around it. In the location stories, you will find a bunch of Stories that have been gathered into one big Story that people who want to see what is going on in that particular location. The broader the location you use in your Story, the harder it will be to end up on top stories for that location. However, if you focus on local locations there’s a much bigger chance because the competition is not as tough. You probably already know how effective hashtags are on Instagram, but did you also know that location hashtags can be equally so? Simply write the location in the form of a hashtag such as #Losangeles or #SanFransisco. This enables people to find your brand in their local area. What’s more, you can also add hashtags to your Stories, as seen above with the hashtag sticker. That way, you can do the same thing with your Story as with a regular post. Now that we’ve got the basics sorted, let’s look at the different ways you can use this feature to engage local customers, get them aware of your brand, and ultimately buy from you. If you have a physical location and have created that location on Facebook, you can then search for that hashtags on Instagram. If you haven’t created a location for your business, you can easily do so by going to Facebook’s create a location page. If you have a physical location already, you can start using this method right away. Go to Instagram Search & Explore and search for your store’s location. Note that this is only possible to do if you have a physical location. 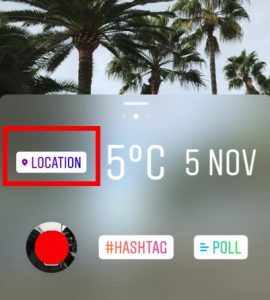 If you don’t have a physical location on Instagram but have a physical location for your story, you can create a new location through Facebook. If people have shared photos using your location, you obviously want to engage with them! Make sure you thank everyone who visited your venue and welcome them back again. If you notice that someone has complained, take this opportunity to address their problem and show that you want to make things right again. To impact them more deeply, you want to start asking them questions and start a conversation with them. Doing this will not only help you understand what people are saying and which people are saying something about your brand but also allow you to build stronger relationships with the people who have already visited your business once, while at the same time humanizing your brand. Considering how many people have checked in to McDonald’s many locations around the world, I would strongly advise McDonald’s to see this as an opportunity to engage with their customer and get them to come back. If they have used your brand’s geolocation, chances are they live in your area. When you engage with them, they’ll, therefore, get reminded of your brand’s existence and the chances of them visiting your store again increase. There is tons of untapped potential with people who share posts from a venue they’ve visited. Most brands don’t take the opportunity to engage with the people who have uploaded a post from their venue and thank them. But those who do generally see more engaged and supportive fans. People don’t necessarily expect you to respond to their post, but that is the whole point! In order to succeed as a business, you need to take your customers by surprise and do things that your competitors don’t. That’s the way to build a loyal follower base. If you have a small business, chances are that not a lot of people will have checked in using your location. And that’s completely fine. You’re more likely to check in to the location in which the businesses are located rather than an individual business. And for you, this is a goldmine of potential customers. Often times, the reason that people who live in the same area that your business is located in, haven’t visited your store is that they don’t know about it! Or, because they have no good reason to visit it. If that is the case, give them one! Go to the location search and search for the area in which your brand is operating/has its store situated. Now, you’ll probably have a whole list of people who are living/spending time close to you. Start engaging with these people to build a relationship, increase trust, and make them aware of your store. That’s it! Whatever you do though, avoid coming off as a spammer or too promotive. You’ll be better off slowly building a relationship with them rather than directly attacking them with a promotive message in disguise. If they live close to your venue, they probably aren’t going anywhere, so take your time to build a strong and genuine relationship, because it is these types of relationships that eventually convert to sales. If you want to be a little more personal and discreet with your promotion, you can send a Direct Message to them instead. People need a reason to do something and to further encourage people to visit your store, giving them something of value is a perfect incentive. Simply writing to people and letting them know about your business and asking them to come visit is often not enough. You need to tempt them with something that makes them want to go to your store right away. It can be something as simple as a coffee, or it can be a discount. If you do this, not only will this dramatically increase the chances of them coming to your story, but it will also dramatically increase the chances of them sharing more posts from your store, and recommending your brand to their friends. And considering the fact that 92% of Consumers Trust Peer Recommendations Over Advertising, it’s quite a powerful free method of marketing. If you aren’t getting people to share posts from your location, don’t worry! People are often a bit hesitant to check-in to a location that isn’t very well-known, especially if it doesn’t have a lot of posts shared with it. If they would have to choose, they’d prefer to check in to the location/town/city in which your business is located in, rather than checking in to your business itself. Therefore, getting traction with people who check in to your location can be a little tricky, and you need strategies to encourage them to do so. If you don’t have a location, don’t worry! You can also use your personalized hashtag and get people to use that. Again, people often need a reason to do something, an incentive to use your geolocation or branded hashtag. This creates a perfect opportunity for you to run a giveaway and get traction that way. Running a giveaway to encourage people to use your geolocation is the ultimate way to get traction and make people aware of your physical location (or branded hashtag). 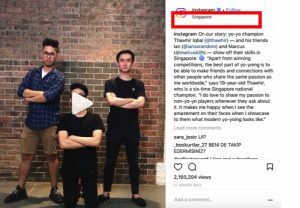 There are different ways you can run an Instagram contest on, but the most important part is that you make the rules clear. This also includes the rules of entry. And since you want to promote your physical location, you obviously want to make that a rule of entry. Start by setting up the rules of entry and make one post with a location tag to your brand an entry. If you want, you can make the rules so that one post is one entry and the most posts people share with your geotag, the more entries they get, thus a bigger chance of actually winning. Since you want people to start using your geolocation and make people more aware of your physical location, the most logical thing would be to tie the price to your store. For example, the winner gets to come to your store and pick products from your warehouse. However, if you plan on doing this, you need to consider the fact that your competition is limited only to the people who live in the same area as your store, or at least close to it. This is completely fine if the majority of your followers are from your local area, however, if most of them aren’t, you need to think about if you want to exclude the majority of your audience from your contest. Offering to repost the content that people share including your location can be incentivizing enough, and normally, the more followers you have, the more people will strive towards being featured on your page. Let your audience know that you are reposting the top photos that have been shared using your geolocation and do so on a regular basis. When more people try their luck in getting reposted by you, the more exposure you’ll get, and the more well-known your geolocation will be. Geolocations are greatly underused on Instagram. Yes, many brands use them to check into a location before they post, and that is a good first step because geolocations are known to improve your engagement with many percents. However, when it comes to leveraging geolocations for your local business, there is tons of untapped potential. Needless to say, you’re missing out if you aren’t yet using geolocations for your local business on Instagram.